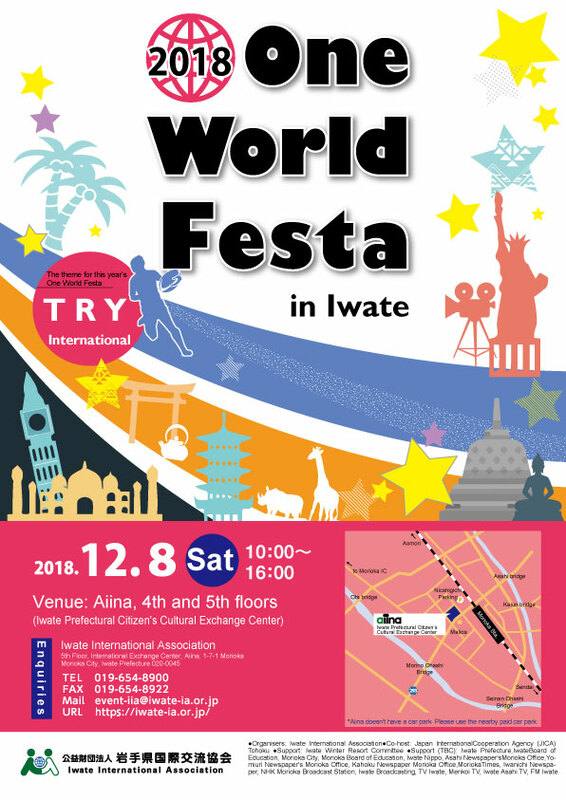 We are pleased to announce the annual "One World Festa in Iwate" to be held on the following date. Why don't you join us with your families and friends and have a fun time! ※Note: The center has no car park. Please use the paid parking in the vicinity.